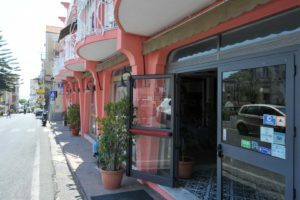 If you are looking for a cheap hotel Amalfi Coast has what you need, for your low cost holiday this is the best option. But, when we talk about booking a room on the Amalfi Coast there is always the same question: where is the best place to stay? Well…tourism facilities in this part of Campania work hard to make sure guests get the best value for money. Because of the excellent services, often the prices are expensive on the Amalfi Coast. If you would like to keep on reading, we are going to show you which are the most expensive towns. Anyway we promise you that you can do your holiday on this Coast in the cheapest way. Our proposal is this Hotel Residence and Bed and Breakfast named Europa. It is situated in Minori, one of the first towns of the Amalfi Coast coming from the southern side. This accomodation has a very low price. You can choose the hotel treatment, residence treatment or bed and breakfast one. This will be according to your needs. This hotel is 200 meters from the sea, where the most beautiful beaches of the Amalfi Coast are. Here there is a sandy beach, a rare thing on this rocky coastline. Now let’s see the prices of our facility. Here there is the price list of your low cost rooms. Babies from 0 to 2 stay free, as well as the addition of a baby cot. The high season is during summer, while the low season is the one with less visitors. More information: These prices do not include the city tax (tassa di soggiorno), which is 2€ per person and per each day, until the fifth day of stay. This tax is included during the whole year except from the 6th november to the 21st december. For more information click here, on holiday house Europa page. You have already seen that it is possible to save money on the Amalfi Coast, also during the highest season with Hotel Europa. 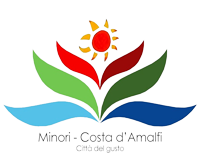 Moreover the town of Minori is very beautiful, there are many things to discover such as the Roman Villa, the wonderful beaches and the Sal De Riso bakery. Now let us talk about how to save money discovering the Coast. We must admit Hotel Europa is a very big help. Moreover there are many ways: looking for inexpensive restaurants and places to eat, walking, chosing which attractions to visit. For this reason we leave you every price like tickets, transport and the cheapest towns. Book now your holiday in Amalfi Coast! This is our suggestion to save money: Walking or trekking along the coast is really worth it because it gives you the chance to really take in and enjoy the many beautiful panoramas. One of the most astonishing things about the Amalfi Coast are the heights: the more you go up the better the view will be. Anyway we suggest a visit to Positano, Praiano and Capri to see the famous vertical towns, to discover the Praiano beaches and the wonderful Campania archipelago. These places are phenomenal, but to save money it is better having lunch or dinner in Minori, Atrani, Conca de Marini or Cetara. These towns have lower prices than Positano, Ravello or Amalfi. This is the list of the free or almost free attractions of the Coast. Public transport allows you to save money and is a regular service. You can catch an ordinary bus, sometimes quite full depending on the time of day, tickets cost 2.40€ plus, to travel along the Coast (for example from Minori to Positano or something like this). Comparing bus to ferry the last one costs a little more. Depending on where you want to go by ferry, prices fluctuate from 8 € to 25 € (for example for destinations like Capri). There is a last option: train. You could use train to travel to Sorrento or Vietri Sul Mare. The ticket costs 1.20€ from Salerno to Vietri and 4.10€ from Naples to Sorrento. Now you know the prices, you could choose what you want to visit. The beauty of Southern Italy is also the Sorrento Peninsula, as amazing as the Amalfi Coast, the Metropolis of Naples, Vesuvio or the interesting Salerno. If you are interested in history you must visit the Royal Palace in Caserta (tickets cost12€), Pompeii (tickets cost 15€) or Paestum (tickets cost 11€). A cheaper solution for a daily tour is the Cilento Coast. Do you want to have lunch in the Campania Archipelago? Procida is less expensive than Capri. If you would like to have an economic holiday on the Amalfi Coast, well…you have to know which are the cheaper and more expensive towns … meaningly the ones in which buying a coca-cola could be dangerous. This was obviously a joke but let’s learn more. Positano is certainly the most expensive on the coast, it is a beautiful and an elite place. Everything you buy in Positano is high quality. Even if you buy a simple sandwich on the way the ingredients will be excellent. Also Sorrento is quite expensive. In the end, the most “dangerous” places for your wallet are the islands. Capri is very romantic, you have to visit it, it is a place with no comparison in the world and it is very well worth. So did you like this plan? Thank you so much for visiting us. We look forward to welcoming you on the Amalfi Coast for your holiday.